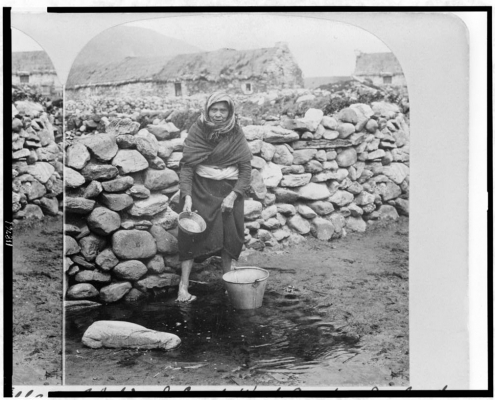 In the first decades of the 19th-century Irish emigrants, many of them Catholic, ventured out to escape poverty and exploitation at home in search of a better life. Large numbers of them found their way to North America, primarily cities on the East Coast including Boston, New York, and Philadelphia. 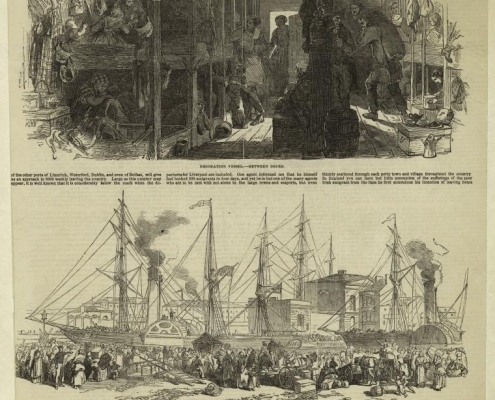 The number of Irish immigrants dramatically escalated during the years known as the Great Famine. Mass starvation brought on by potato blight, compounded by British policy, lead to a mass exodus. What was life like for those that made their way to the United States? 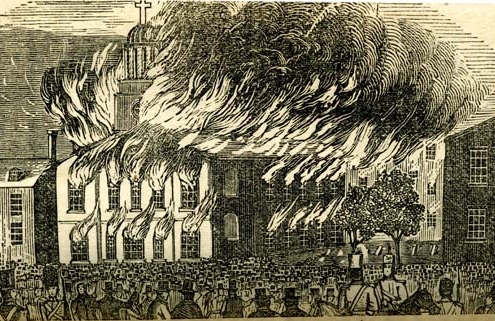 While today Irish American contributions to the U.S. are recognized as essential to the prosperity of the country, those views were not shared at the time. 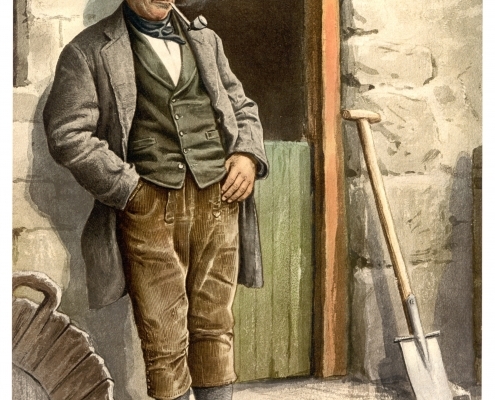 According to the Historical Society of Pennsylvania, “fueling anti-Irish attitudes was the view that the Irish were a nonwhite, racially inferior group, a view informed by existing British attitudes that saw Irish physical and social attributes as dangerous and subhuman.” The perception of the Irish as both inferior and a led to hostility and discrimination. 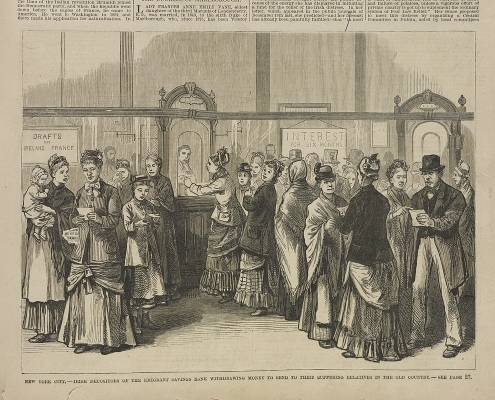 Advertisements for jobs were often marked with the warning that “No Irish Need Apply.” At the same time, Irish immigrants, men, and women began to make their lives in their new homeland. Indeed most of them never set foot on Irish soil ever again. One of the best sources for understanding the process of becoming American are the letters immigrants sent friends and relatives across the ocean. Historians estimate that 30 million letters from Irish emigrants made it back to the old country. Below are links to a few selections. Hannah Curtis, writing from Queen's County, Ireland to her brother John Curtis in Philadelphia. 1848.
https://reimaginingmigration.org/wp-content/uploads/2019/02/3c18761v.jpg 817 1024 Aakanksha Gupta https://reimaginingmigration.org/wp-content/uploads/2018/11/g107.png Aakanksha Gupta2019-02-28 11:45:552019-04-12 17:16:43Hannah Curtis, writing from Queen's County, Ireland to her brother John Curtis in Philadelphia. 1848. 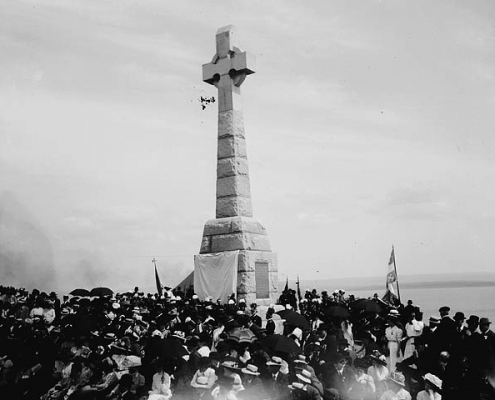 Mary McLean Walsh writing from Ottawa to her family in County Leitrim in 1832.
https://reimaginingmigration.org/wp-content/uploads/2018/11/Monument_érigé_en_1909_commémorant_la_mort_des_immigrants_irlandais_de_1849.jpg 480 614 Adam Strom https://reimaginingmigration.org/wp-content/uploads/2018/11/g107.png Adam Strom2018-11-20 16:02:562019-02-20 11:10:42Mary McLean Walsh writing from Ottawa to her family in County Leitrim in 1832.